George Washington (1732 – 1799) was a statesman, brave military general, charismatic political leader, and above all, a true American patriot. He wasn’t only the first president of the United States of America; he was one of the pioneers who laid the foundation of the United States. George Washington had been the Commander-in-Chief during the American Revolutionary War. Washington had long been respected as a man of honor who refused to run for the third time as the U.S. President even though he knew he could win. In this article we are going to tell you all about George Washington. Washington also headed the convention which drafted the first constitution of the United States in 1787. 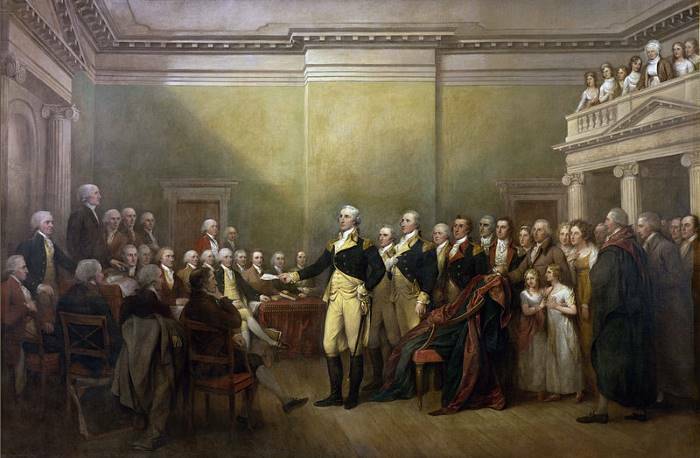 The entire American nation recognizes George Washington as the Father of the United States. Perhaps you might like to get on with many other amazing George Washington Facts for kids. 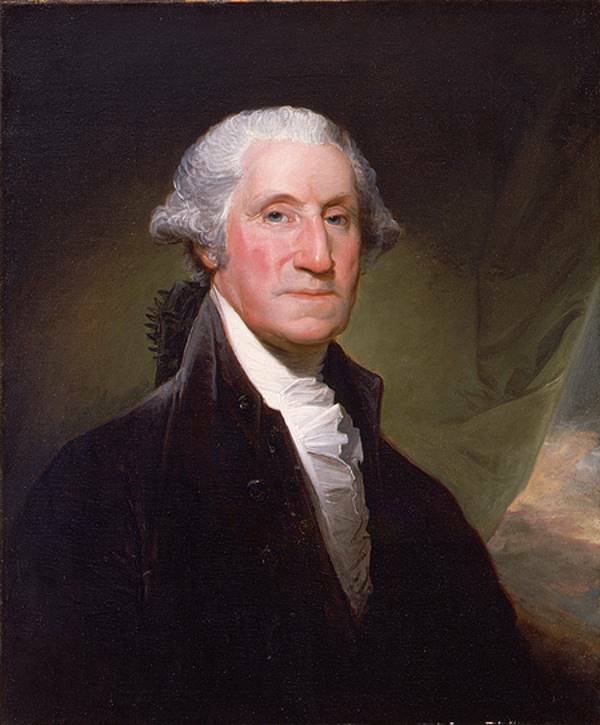 A George Washington’s portrait by Gilbert Stuart. George Washington Facts for kids. George Washington was born on February 22, 1732 in Westmoreland County, Virginia. His father’s name is Augustine Washington and mother, Mary Ball Washington. She was the second wife of Augustine. Washington’s father was tobacco planter by profession. Augustine also did a job of iron manufacturing. The Augustine’s family wasn’t really rich but they were ranked pretty higher in the planter families. George lost his father when he was only 11 years of age. Augustine died of sudden illness in April 1743. Unlike George’s elder brothers, George just couldn’t continue study in England’s Appleby School precisely due to the death of his father. Lawrence Washington, George’s step brother, was suffering from tuberculosis in 1751. George had moved to Barbados in an attempt to cure Lawrence’s health. George thought that the change in climate could improve Lawrence’s health. But Lawrence’s illness only got worse and he ultimately died in 1752. George had started off as a surveyor at a school age. 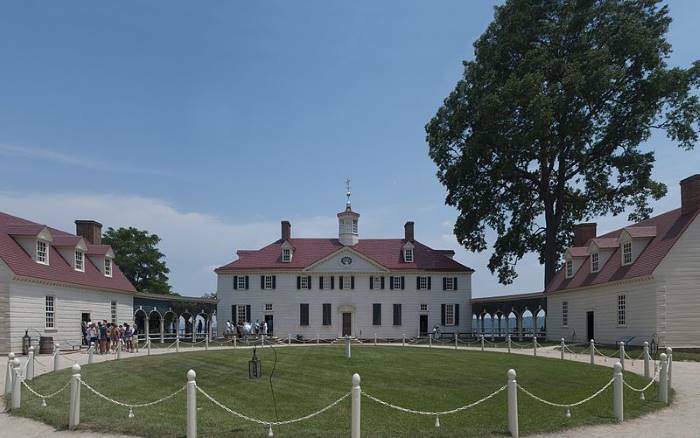 His first assignment as a surveyor included studying around Mount Vernon. George had professionally begun his surveying career in 1749. He was 17 years of age then. Washington had soon become the official surveyor for Culpeper County. He did his first surveying job in just 48 hours. George had continued to work as a surveyor from 1749 to 1753 (not as an official surveyor though) while plotting lands in Western Virginia. George was pretty taller than most of his partners. His 6-foot height further added to his strong personality. In 1750 George left his position as an official surveyor. He preferred to survey but only as an amateur. George Washington’s estate in Mount Vernon. George Washington Facts for kids. In 1755, George Washington had become the assistant of General Edward Baddock. British Army wanted to expel French from Ohio County. They wanted to get hold of Fort Duquesne. George while acting as an adviser gave many recommendations to the General Baddock. During the Battle of the Monongahela, the British army was defeated by French and Indians. General Baddock had suffered critical injuries. But George Washington stood his ground and showed bravery and stamina. 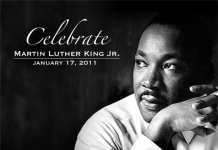 He was then recognized by many his critics as a man possessing all the attributes of a general. Thomas Dunbar succeeded General Baddock but he didn’t hire George Washington as assistant for he appeared to be convinced that General Baddock lost war due to the bad recommendations of his assistant. 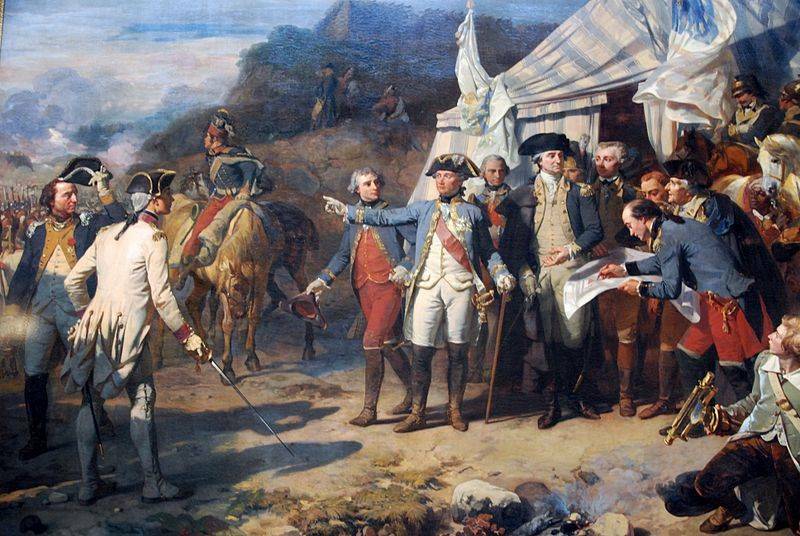 Although Washington had made a strong impact in the British Army, he was never rewarded with commission he wished for. Nonetheless, he did polish his military tactics as well as leadership skills whilst staying in British Army. George was pretty much aware of British Army’s strengths and weaknesses. His keen insight turned out to be quite effective when he became General. Washington resigning his commission. George Washington Facts for kids. George Washington played a key role in the American Revolution for he didn’t only come out as a strong Military General—he had now become a charismatic political leader. George wasn’t really in favor of 1765 Stamp Act. The Act claimed direct taxes on the colonies. It was imposed by the British Parliament. Washington encouraged colonial resistance against the British by boycotting many of the British goods. He wanted to repeal the Stamp Act 1765. He said, I think the Parliament of Great Britain has no more right to put their hands in my pocket without my consent than I have to put my hands into yours for money. In April 1775, a war broke out among colonies particularly following the Battles of Lexington and Concord near Boston. George Washington was all prepared for war. On June 14, 1775, Congress formed the Continental Army. John Adams of Massachusetts appointed George Washington as a Commander-in-Chief. Washington wasn’t really keen to become a Commander but on the request of John Adams he accepted the honor. He said he wasn’t going to accept any kind of remuneration for his services. 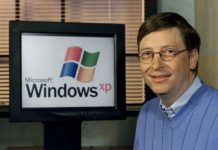 George’s refusal for salary gained him an extraordinary reputation. As a Commander-in-Chief, George served in three parallel roles. First, he was deemed to lead his troops against the British oppression; second, he held the responsibility for organizing as well as training his armymen; and third was probably the most significant George’s role in which he were to devise long-term strategies as well as maintaining army in the field almost all times. George Washington had always believed in the civilian supremacy even though he himself was a General. That is why when Americans won the war, George Washington sacrificed his ruling status and resigned from the office of the Commander voluntarily. He could have easily become the political ruler but he didn’t. 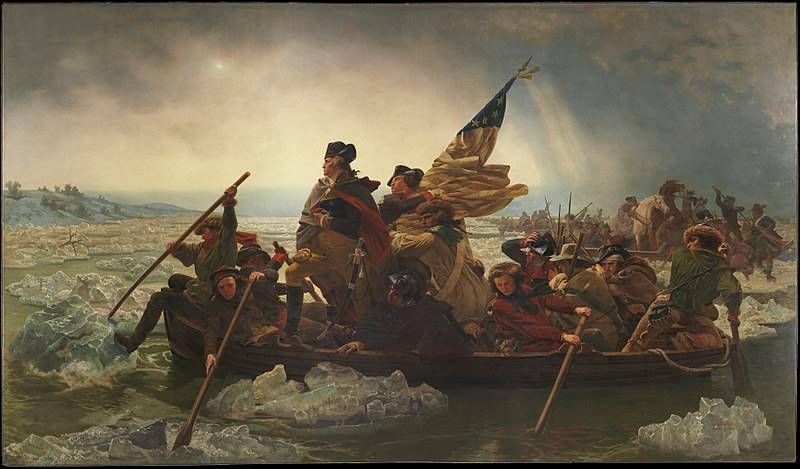 In this portrait Washington is crossing Delaware on December 25, 1776. George Washington Facts for kids. During Washington’s command in Massachusetts, he recognized the immediate need of gunpowder and other military resources. George managed to obtain the supplies from France in 1776. And Washington’s efforts finally paid off and Americans were able to force British to withdraw their army from Boston in March 1776. Even the British newspapers started appreciating George Washington’s attributes as a military leader soon after Boston victory. George Washington faced a defeat in New York when he challenged the British General William Howe in August 1776. The Americans were outnumbered and the British army seized the New York City. Washington couldn’t fight British at the Battle of Brandywine on September 11, 1777 when British forces managed to enter into Philadelphia without any strong resistance. Following the loss at Philadelphia, a few Congress members wanted to remove George Washington. Washington at Yorktown. George Washington Facts for kids. Soon after independence, George Washington was elected as the first President of the United States of America in 1789. He is the only American president being elected unanimously by the Electoral College. George took oath as a president on April 30, 1789. Congress approved the President’s annual salary of about $25,000. George, yet again, didn’t want to receive President’s salary but he had to accept it for the Congressmen were of the view that it would set a bad precedent for future presidents. George Washington was very careful in everything he did for he was going to set many precedents after all he held the first president’s office. He liked to be called the President upon Senate’s recommendations. After he finished his first term as a president, George was slightly hesitant in contesting for election again. But he was again elected as the U.S. President. When he completed his second term, George Washington refused to run for a third term. Now he set a strong precedent for all the American presidents to come. Even today, the U.S. Presidents can hold their office for no more than two consecutive terms. Washington had to face numerous challenges from the start of his presidency. The Rhode Island and North Carolina did not join the Union; the United States had no Navy and the Confederation didn’t seem to have enough authority to solve these issues. George Washington chose Edmund Randolph as his Attorney General whereas Samuel Osgood was appointed as Postmaster General. Washington appointed Thomas Jefferson as the Secretary of State. John Adams was appointed as the Vice President of the United States. Washington appointed John Jay as the first Chief Justice of the U.S. Supreme Court. He preferred to remain neutral in foreign conflicts. George had full powers to release any of the public officials. 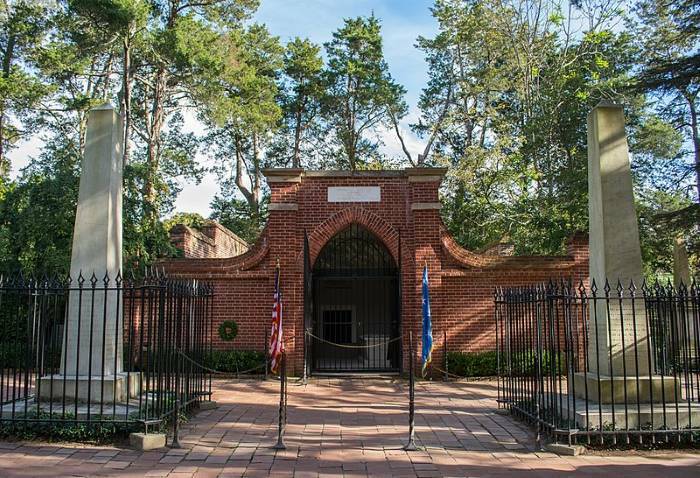 Washington’s family tomb at Mount Vernon. George Washington Facts for kids. The total population of the United States was only 4 million when George Washington took office. There were 11 states of America then. There was no taxation system. After serving for two consecutive terms, George Washington got retirement in March 1797 as he wasn’t willing to run for the third time any more. He gave an outstanding farewell speech in which he asserted that the United States shouldn’t involve herself in foreign issues. Later, he returned to Mount Vernon to resume his plantation activities. His plantation lands didn’t however turn out to be profitable. When he wished to sell his lands he couldn’t get enough prices. According to historians, Washington’s net worth of his wealth estimated at $1 million which is equal to $19.9 million today. But George was not that rich. George Washington delegated much of his authorities to Alexander Hamilton. He suffered from throat infection on December 1799. The infection only got worsened each passing day and at 10 p.m. Saturday, December 14, 1799, George Washington the founding father of the United States of America breathed his last. George Washington was 67 years old when he died. Congress approved a plan to build marble monument of George Washington to honor his contributions. Congress approved the amount $200,000 for the construction of monument. A few senators however opposed the monument plan for they believe that Washington must be buried in Mount Vernon where he spent his last hours. The whole world was saddened to learn the death of George Washington. Napoleon Bonaparte held 10-days mourning period in the honor of George Washington.